She is so talented! She made me feel like a million bucks during our time together! We did a walk through the day prior since I have never met her before. She had my pictures via email and she had pictures of me. She just worked magic and made my hair and makeup look flawless! She did amazing work with my mom too! Didn't make her look frumpy and too made up since my mom doesn't wear alot of makeup. Caridad is absolutely the best! There really aren't enough words to describe her work. 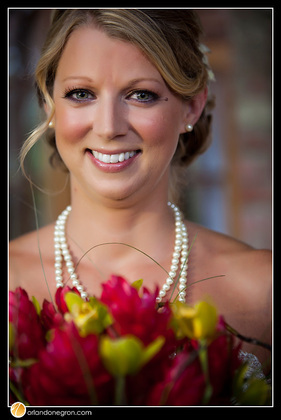 She did the hair and makeup for me and my wedding party and completely exceeded our expectations. My wedding day was extremely humid. Throughout the day, I was crying and sweating and just knew that my makeup was ruined. I looked in the mirror and my makeup was completely flawless. Caridad is a true pleasure to work with. You will enjoy working with her and you will truly appreciate her talent. 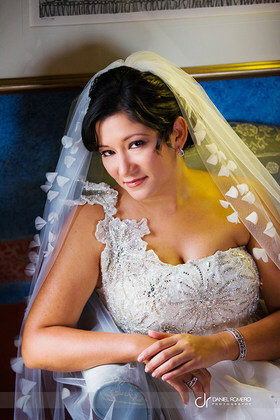 I wish I knew more brides that were getting married in San Juan because I would send them all to her! 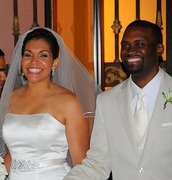 Caridad did a fabulous job with my hair and makeup, both for my trial run, as well as my wedding day. She was extremely professional and organized. Everyone commented on how quick she worked with my bridesmaid's hair. 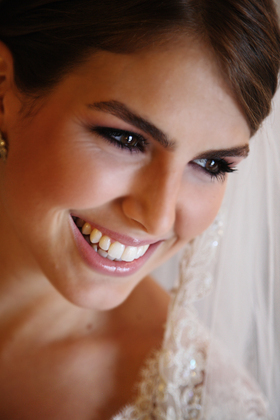 My makeup was impeccable and she made me look and feel beautiful on my special day. 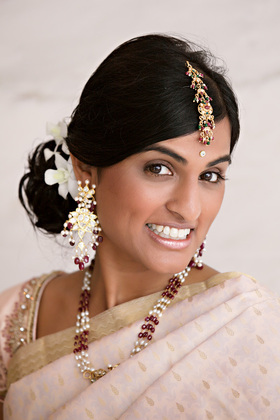 I look forward to seeing her career flourish from her upcoming spread on In Style Weddings Magazine. Book her with plenty of notice ladies, she is a true talent that will be booking fast! This was the best thing I could have treated myself to on my wedding day. I just sat back and relaxed as Caridad did my hair and make up. I recommend doing a trial and day of hair and makeup. She can also do hair / makeup for the bridal party as well. 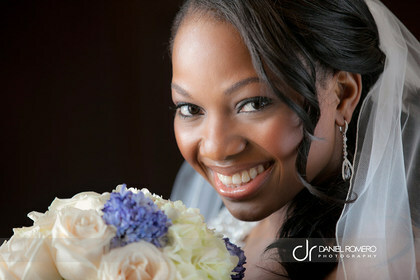 She has experience working with brides of many nationalities, races and hair textures. She also does hair/makeup for the local news station. 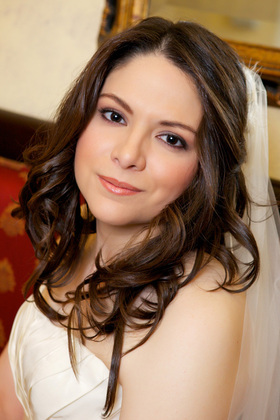 Caridad is very friendly and easy to work with, best of all she comes to you - no need to travel to a salon on your big day. 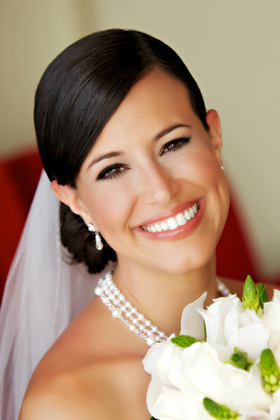 I felt so beautiful on my wedding day because of Caridad! I loved my hair and makeup. She did better than what I wanted!